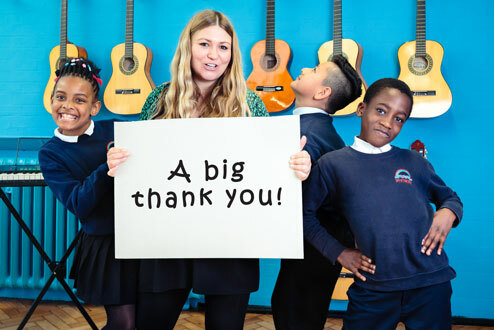 Your support directly enables us to continue a commitment to prioritise our work with schools in the most deprived towns and cities in the England, where we are implementing the Musical Futures approach through equipping schools with instruments, training teachers and ensuring children of all backgrounds have an opportunity to benefit from music-making. Set up a Direct Debit today for just £5 a month. Subscribe to our newsletter to see the impact of your donation.